*Set meetings or appointments throughout the day, week, and month with family and friends. Include them when possible on business trips. *Don’t be a work-a-holic! Your work will be there when you get back to it. *Learn to love video calling. Cafe Talk: Who and/or how do you worship? I reported and chimed in on the continued negative press about the 2016 Summer Olympics. The big story, of course being about Ryan Lochte, the 12 time U. S. Olympic medalist in swimming–his apology for his fabricated story of being robbed while in Rio de Janeiro. Personally, I think that he was so intoxicated and possibly high that he and his fellow Olympian friends really thought that they were being robbed by fake security guards/police!! Anyway, as we have all heard, this misstep has caused him to lose several endorsement deals starting with Speedo and Ralph Lauren. Can he bounce back? Well, as of today(8/25/16), it’s been reported that he has a new endorsement deal with Pine Brothers cough drops ( cough, cough); and he will be a contestant on the upcoming season of Dancing With the Stars! Stay tuned. In political talk, I revealed that Jill Stein, the 2016 Green Party Presidential candidate currently has 5% of supporters compared to Hillar Clinton’s 45%; Donald Trump’s 35%; and Libertarian Party candidate, Gary Johnson’s 9%–that’s according to recent CNN poll. Checkout www.marilynscafesociety.com for the audio. During TV Talk, I took a look at an article from TV Guide that focused on actors that have been fired from television series/shows. Some were fired for strange reasons like attacking show producers! Some have gone on to other shows while others have not. My inspiration for the Passion for Fashion segment came from Refinery 29. Check it out at www.marilynscafesociety.com. Soul attended a kick off in Chicago for the Making Strides Against Breast Cancer organization’s 5k Walk that’s set for October 22, 2016. Proceeds to benefit the American Cancer Society. For more infomation visit www.makingstridesagainstbreastcancer.org. Soul also presented another edition of Soulbalm Says. Take a listen here. That’s it. Have a super weekend! No show this Saturday duento high-school football. We’ll talk again next Saturday, September 3, 2016. Find me on Twitter @marilynscafesoc and Facebook at Marilyn’s Cafe Society. After the show, Soul and I hung out! In fact, we almost went out to eat! However, we paused and asked the big question…will this food improve my health and wellness? No!.. but it sure would have satisfied our palette and foodie tendencies! Hmmm. Perhaps another time. We settled for watermelon. Yes…sweet and tasty! The show was fantastic! Did you miss it? If so, here’s how things went down. Cafe Talk: What does the expression “don’t drink the Kool-aid mean to you”? Illinois Governor Bruce Rained vetoed automatic voter registration bill. The Senate bill provided that anyone of voting age who is obtaining or renewing a driver’s license at a Secretary of State facility would automatically offered a voter registration form. Rainer’s administration cites concerns that include potential for voter fraud. Watch dog groups expressed their disappointment believing that the Governor missed an opportunity to be a trailblazer in modernizing voter registration nationally. Democratic presidential nominee, Hillary Clinton, released her 2015 tax returns which amplified the pressure for Donald Trump to do the same. She and husband, former POTUS, Bill Clinton earned just under $11 million and paid a little more than 34% in federal income taxes. Say what?!!! Hillary also released her proposed economic plan that includes raising personal income and certain corporate taxes; a crack down on trade violations; increase infrastructure spending; raising the minimum wage; paid family and medical leave for workers; tax credit for childcare expenses; and reduction of educational costs. I would love to see major economic development in the inner cities and economically/ socially depressed neighborhoods. Let’s work on that you all!! Congratulations to Simone Bikes, Simone Manuel, Michael Phelps, Michelle Carter, and the entire Team USA for breaking records, making history, and racking up some serious bling during the 2016 Summer Olympics. Since last week’s report of media bias, certain media has corrected the way they address or reference Olympic winners who are women. Women rock on their own!! Speaking of women, join the American Association of University Women on Tuesday, August 23, 2016 from 2-3pm ET for a Twitter storm as the mark African American”s Equal Pay Day. The day will symbolize the day when Black women’s earnings catches up to white mensy earnings. Use the hashtag #BlackWomenEqualPay to join the conversation. We were very excited to have actress, author, speaker, trainer and wellness expert, Tina Lifford join us this hour. You may have seen her on ths big screen in Mandela and Declerk, Hostage, and others; also, on television in South Central, Scandal, and Parenthood. You can look for her in the upcoming series, Queen Sugar on OWN starting Tuesday and Wednesday, September 6 & 7 at 10pm ET. Tina will play Violet Bordelon, an aunt to the Bordelon siblings who inherit a sugar farm in Saint Josephine, Louisiana. The series is Executive produced by Oprah Winfrey, Ava DuVernay, and Melissa Carter. The series is loosely based on the book by Natalie Baszile. All episodes in the series’ debut season are directed by WHAT??! !…yes WOMEN!! Tina’s humanitarian work focuses on the importance of Inner Fitness. She helps people feel fabulous from the inside out. Check her out at tinalifford.com and listen to segment snippets at marilynscafesociety.com. Fingers crossed, you may hear more segments with Tina on Marilyn’s Cafe Society in the coming months! Soul and I enjoyed Tina so much that we went over time. Accordingly, Soulbalm Says will return next Saturday at 2:50pm CDT. Have a great week and join us next Saturday, August 20, 2016 at 1:05pm CDT. Follow me on Twitter @marilynscafesoc OR Marilyn’s Cafe Society on Facebook. I’m a bit late getting this post up and I have a good excuse! No, the dog did not eat my tablet! I did, however, have technical issues with it. I also have been struggling to regroup after receiving disappointing news a few weeks ago. I’ve found myself in “a place” that I didn’t expect to be in yet again!! I know!!! Keep your head up, Marilyn! Stay positive, Marilyn! All things work together for the good of the those…”. Marilyn, when one door closes, another one opens! I know all of that!!! And at the end of the day, all of that is what’s getting me through. Thank you all for your concern, advice, well wishes, and prayers. I’m excited to conquer what appears to be a set back! And now, here’s what you missed last Saturday! Cafe Talk: What do you remember about 1981? What were you doing then! Soul was traveling this weekend so I was solo. News stories that I highlighted included the release of the video footage of the Chicago Police Department’s chase and killing of 18year old Paul Oneal. The Independent Police Review Authority (IPRA) is still investigating this tragic incident. The 2016 Summer Olympics dominated in news this week but with reports about the otherside of Rio de Janeiro, Brazil. The poverty, destitution, crime and disrepair. In fact, in June, the Governor of Rio declared a financial state of emergency! Go to www.marilynscafesociety.com for the full segment. 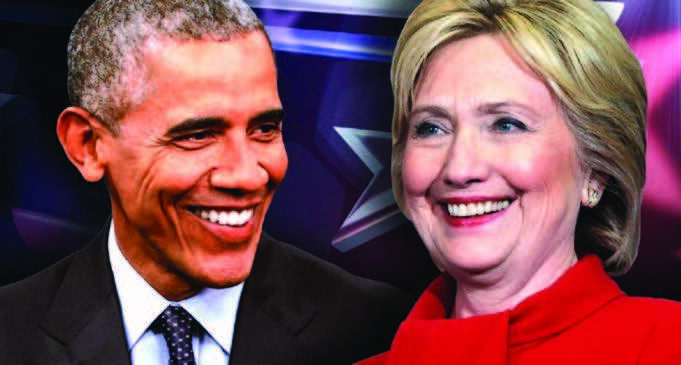 Finally, the race to the White House is still at the forefront of the news and according to several credible polls, Hillary Clinton has taken a comfortable lead of 10 to 15 points ahead of Donald Trump. I even skimmed over top news stories from 1981! Princess Diana marries Prince Charles; President Jimmy Carter was voted out and Ronald Reagan became President of the United States of America; a mystery deadly disease was discovered. It was later called AIDS. Later in the hour, I highlighted 10 Jobs that will soon be gone and talked about what the top jobs were back in 1981. And, by the way, did you know that in 1981 gas cost $1.25 per gallon and the average American income was $21,050 per year? TV Talk centered on what the top television shows were in 1981. Here’s a few… Different Strokes, Dallas, Dynasty, The Jeffersons, MASH, Benny Hill, and All My Children (remember the Luke and Laura wedding!!!). Check out marilynscafesociety. com for more. Passion for Fashion was also allabout what we were wearing in 1981!! We were all about designer jeans, preferably Guess, Calvin Klein, Gloria Vanderbilt’s, and Levi’s! They could be skin tight or baggie. Young people wore country western and punk rock clothes; women preferred subdued colors; skirts of all lengths; business and casual suits; high and low cut necklines; turtlenecks, crew necks, and v-neck tops and sweaters. Men wore tracksuits as leisure/athletic outfits; jeans; v-neck sweaters; polo shirts; Hawaiian shirts; khaki pants; sports jackets, etc. Our hair was curly (Jheri curl); long, feathered, and French braided! We added beads, headbands, and sun visors to our headwear. Our footwear included Converses, Adidas’s, Nike’s, cowboy boots, Jelly’s, tennis shoes, wedges,etc. Throughout this hour, I played music from 1981 and talked about popular dances. I also looked back on the top movies like Friday the 13rh, Stir Crazy, The Blues Brothers, and The Empire Strikes Back! I closed out the show with a brief Get Healthy, Get Fit segment on exercises to do to quickly trim you waistline. Some include swimming, running, rowing, cycling, etc. Let’s do this!!! Well, that’s it. Make sure that you tune-in this Saturday at 1:05pm CDT for another edition of Marilyn’s Cafe Society. Remember that you can submit your show ideas to producer@marilynscafesociety.com. Catch me on Twitter @marilynscafesoc and Facebook at Marilyn’s Cafe Society. Cafe Talk: What is your “basic instinct” type? Don’t know? Keep reading! Soul and I commented on the Democratic National Committee convention that took place in Philadelphia the prior week. We agreed that the stellar speaker and performance line-up did not disappoint. I think anyone who watched all or some of it has to acknowledge that they felt hopeful and proud to be an American. Women, especially, should feel incredibly proud to have a highly qualified woman on the verge of becoming the first woman President Of The United States (POTUS). Congratulations to Hillary Rodham Clinton on winning and becoming the first woman to clinch the Democratic committee nomination for POTUS. I really wish that we were truly the United States of America. The division between the two dominate parties (Democrats vs. Republicans) seems to get worse with each presidential election cycle. Is it because our president and presidential candidate are not the same as years past? Yes, meaning they aren’t male and caucasian? After top news, Heidi Wachter, checked in to explain the concept of “basic instinct types or Enneagram. 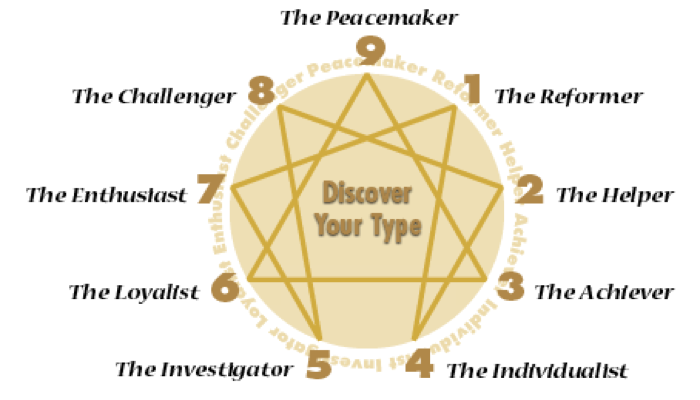 According to Heidi, who is a health journalist and writer for Experience Life magazine, an Enneagram is a personality typing system that draws on several wisdom traditions. There are three (3) basic instincts (self-preservation, sexual, social); and nine (9) Enneagram types. Go to marilynscafesociety.com for audio. Also, you may go to experience life.com for the full article entitled, Basic Instincts. I’m still trying to figure out mine. When you discover yours, please share in the comments section. Since I was going to my class reunion after the show, we added a second Cafe Talk question…Do you attend your class reunions? According to research, only 20-30% of most graduating classes actually attend their class reunions. A number of reasons for this low turnout has been cited but one, in particular, stuck with me– lack of communication in between the reunions! Every reunion planner must maintain some form of communication with the overall class via quarterly or semi-annual newsletters, etc. Also, avoid the last quarter of the year for the reunion. In fact, the best month to have a class reunion is July. By the way, my reunion was great! I arrived a bit late due to work but still was able to chat it up with classmates and friends. I discovered that over the years, we lost quite a few to death. Many others have moved to other states and a few travelled quite a distance to attend our reunion. I”m working on a special show this coming Saturday in relation to my reunion. Be sure to tune in. The new producers of Sesame Street announced recently that they were cutting the characters, Bob, Gordon, and Luis from the lineup, and boy was there a backlash! Big kids everywhere took to social media to express their discontent with the producers decision. Now, according to Fox News Latino in New York, the producers are considering reversing their decision. All parties are set to meet in September for more discussion. Soul suggested a great idea for the show’s elders. She said that they should be the go to “circle of elders” that the other Sesame Street characters go to to solve problems. It will teach the young how to solve problems as well as to respect and value their elders. Let’s see if the producers were listening to the radio show! 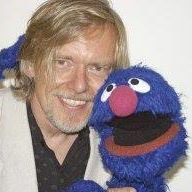 One person listening who is connected to the Muppets and Sesame Street is Joel Schick. Joel is an illustrator who has illustrated books from middle-aged America’s childhood (The Jungle Book, Muppet Time, The Magic School Bus, etc. ); and he was our guest this hour. Soul and I were beyond thrilled to speak with him. He was very warm, open, and easy to talk to. In fact, he turned the table for a minute and interviewed me!!! I was especially thrilled to learn that he will be participating in the annual Christmas Celebration show in December! Talk about Christmas in July!!! For a snippet of our talk, click here. For more about Joel and free book downloads, visit familygorilla.com. Our talk with Joel went a bit long so “Soulbalm Says” was abbreviated this week. Take a listen here. Also, I didn’t have time to announce the Christmas in July spotlight which is the second selected church that is making a difference in the lives of children. The Living Word Christian Church in Forest Park, Illinois is hosting their “Back to School” celebration on August 5, 2016, 3-6pm. Enjoy food, fun, and backpacks loaded with school supplies!